Wild Tales consists of six stand-alone stories of varying length and mood. The danger with episodic movies is always that you get yanked out of a good yarn, or that you might like some of the stories, but not others. That’s also the case here, but I am confident that Relatos Salvajes, as it is originally called, contains no filler for anyone in the audience, regardless of your preference for farce or gore or dark humor. Besides Argentina as a location, if there is another unifying theme, it is revenge. Even before the opening credits, the movie starts with a plane full of seemingly random passengers, until they realize who has brought them there, and why. It’s the right kind of wild moviemaking, but it doesn’t overdo it; the director, Damián Szifrón, wisely avoids any Tarantino-style exaggeration. And the opening credits: the movie gives every actor an animal. No idea if that adds anything to the characters they play, but the pictures themselves are beautiful to behold. That sequence alone is why you should see this one on the big screen. You can watch all of the stories as entertainment, but there is a deeper level to every one of them. If you get slighted, what kind of revenge are you up to? Do you turn murderous? Do you walk away because you are above such things? You might find out something about yourself, such as a talent for negotiation. Some scenes are incredibly powerful: a few drops of blood on a wedding dress, a chance encounter with a stranger on a rooftop at night, the despair of facing yet another administrative clerk on autopilot. And the most important philosophical question whether rat poison is stronger or weaker once it’s past its expiration date. 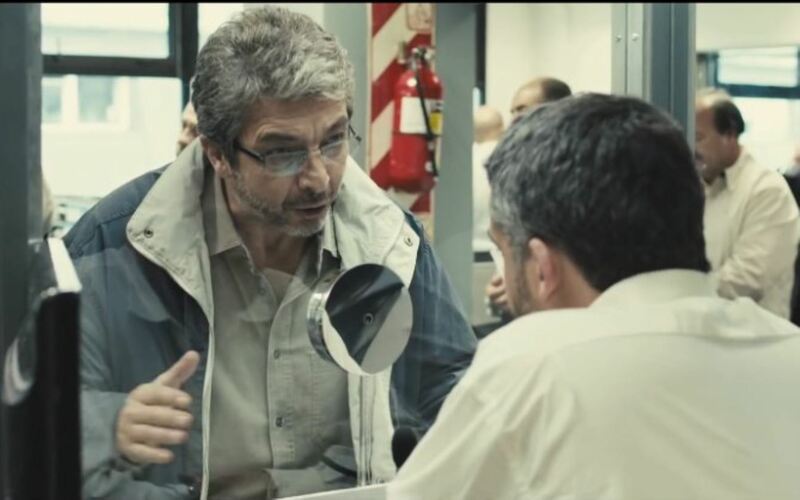 Wild Tales contains only moderate violence. There is one story that is basically a duel to the death, but both characters are clumsy and blind with fury, so much so that it all turns laughably funny. These two dumb guys deserve each other. The other stories turn violent only if they need to; there are moral questions to tackle first. Two segments are completely without any physical violence, but that doesn’t mean they’re easier to watch. Revenge is not just sweet; it’s also pretty devastating. And farcical. Sometimes it’s almost a logical consequence. I’ve never heard the words ‘Til Death Do Us Part sound so creepy.